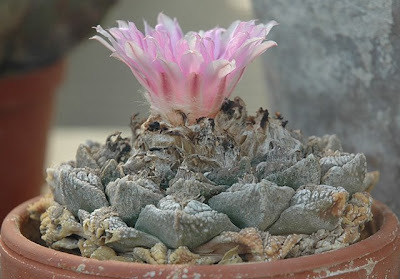 I've had a few Mammillaria meiacantha plants (SB 249; Bernalillo County, New Mexico) growing in my cold house for the last couple of years. 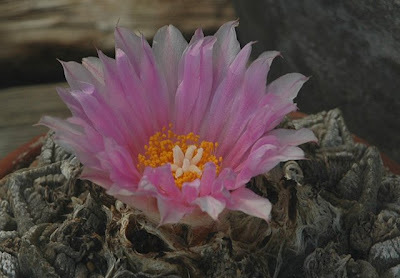 The plants thrive and last spring they embarked on a flowering spree. 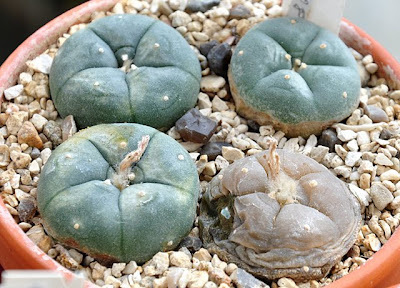 One of the traits Steve Brack mentions for these plants in his seed catalogue are their huge red fruits, so I hope I succeeded in pollinating the flowers and will see some fruits soon. I bought these plants for my unheated greenhouse because of their extreme cold tolerance. 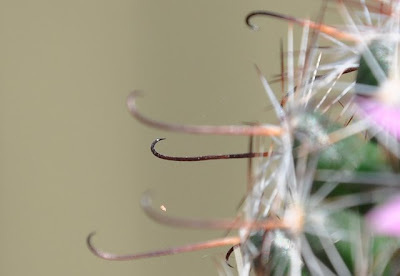 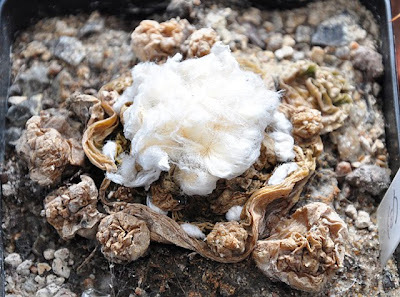 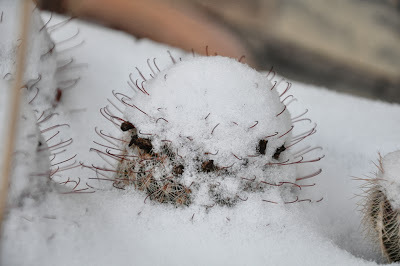 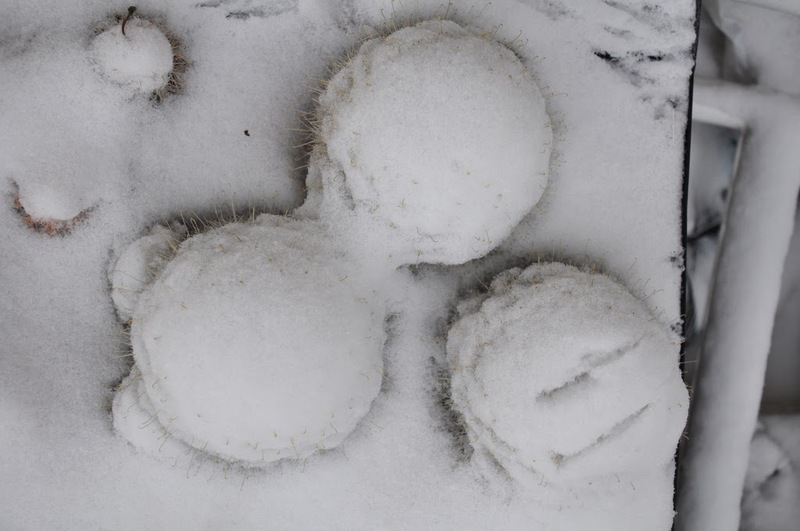 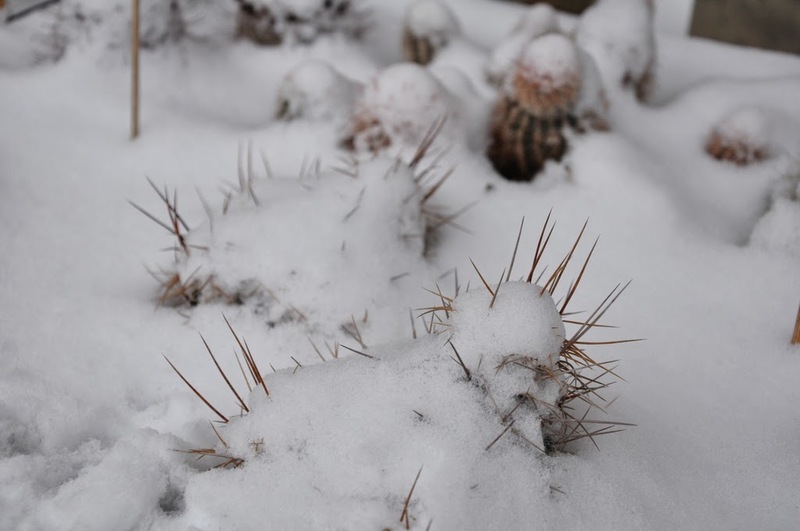 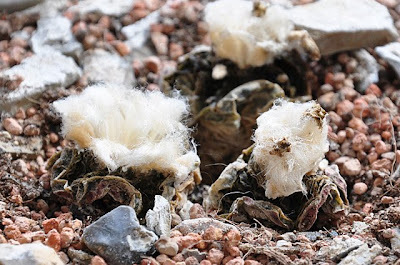 Steve Brack classifies Mammillaria meiacantha as being safe easily to -10F (-23C). 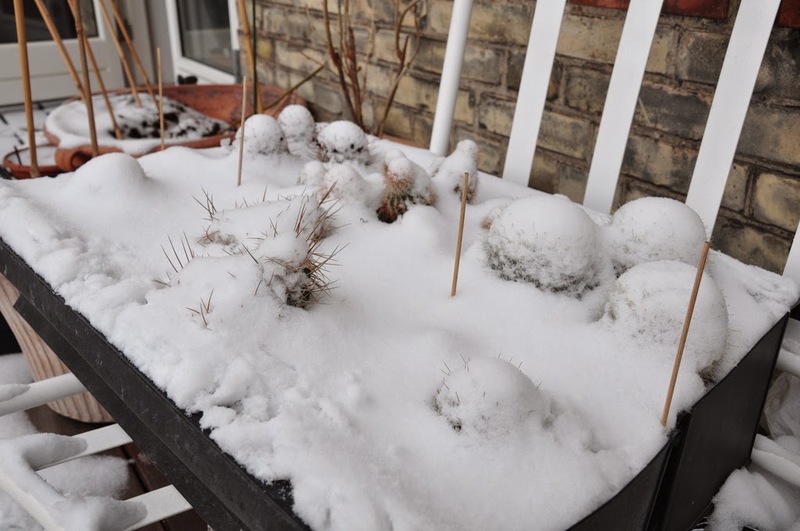 So these plants, if any, ought to be able to survive the cold snap that has engulfed Denmark in snow and almost constant (severe) frost for more than two months now. 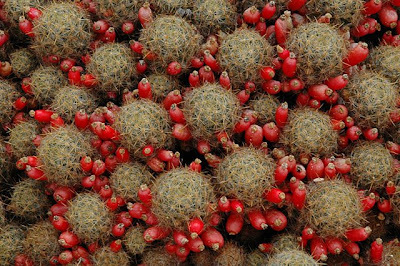 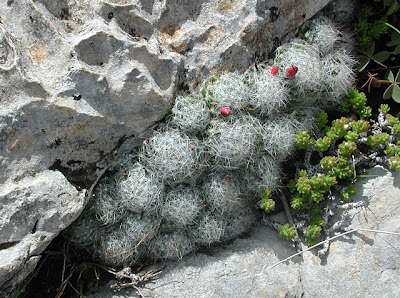 Mammillaria meiacantha is also known as Mammillaria heyderi v. meiacantha. 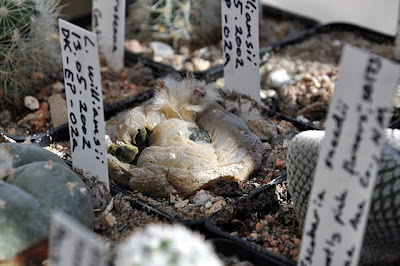 In the late spring of '09 I bought a handful of Mammillaria grahamii (SB 507; Dona Ana County, New Mexico) from Kakteen-Haage. 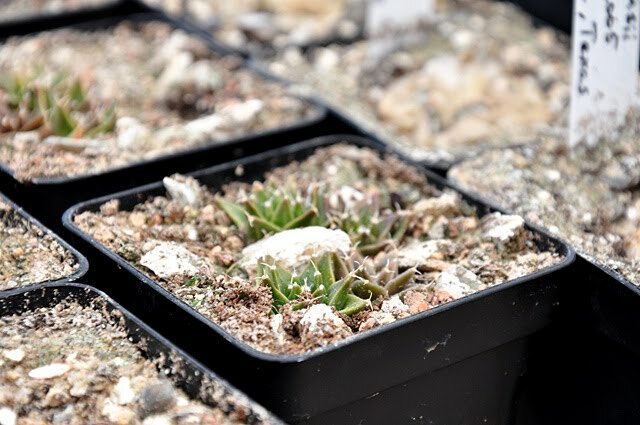 A few months after receiving the plants they flowered vigorously. 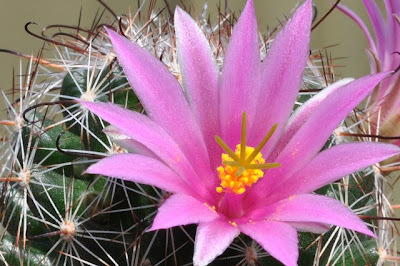 The all-pink petals and filaments are beautifully contrasted by the bright yellow anthers and the dusty chartreuse stigma. 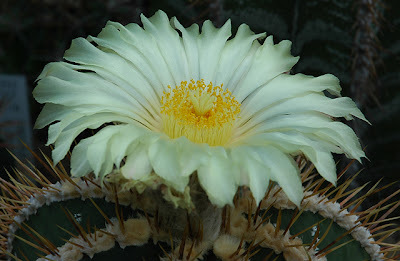 I cross-pollinated several of the flowers and hope for seeds next year. 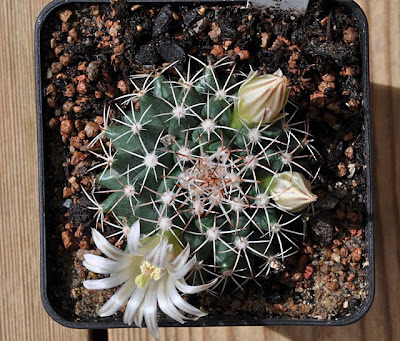 I bought the plants for my cold house as Mammillaria grahamii is said to be relatively cold hardy. 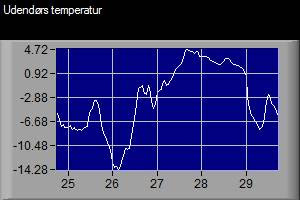 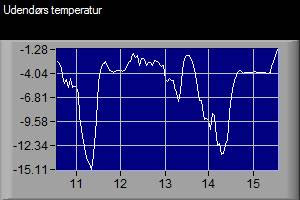 If they survive the current cold snap I guess they can survive anything (in relation to Danish winters, that is ;-) The current freezing conditions have lasted since before Christmas with outdoor temperatures as low as -15 C (5 F) so I hope the plants are not frozen solid. 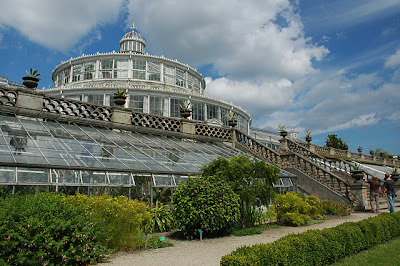 The first weekend of September I visited Copenhagen Botanical Garden again. 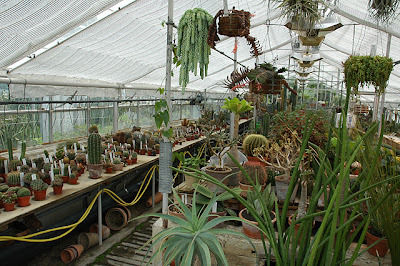 As described earlier the garden has a cactus house open to the general public as well as a propagation house that you can't enter. 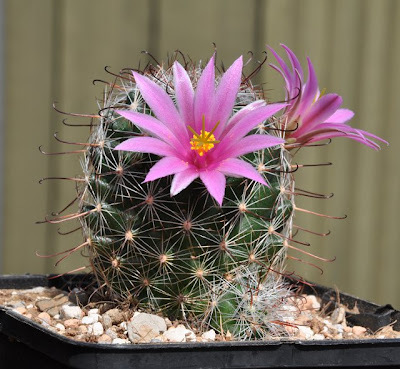 Flowering and otherwise interesting plants are put on display close to the entrance of the propagation house so even though you can't enter you still have a chance to enjoy some of the gems hidden away inside this house. 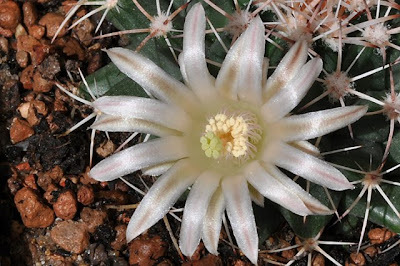 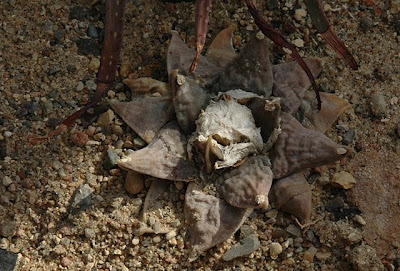 An example is the beautiful flowering Ariocarpus fissuratus pictured below. 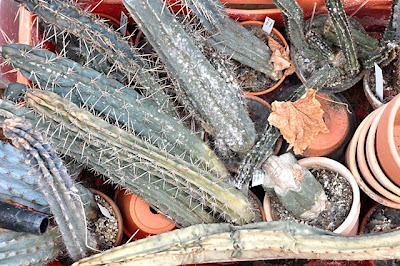 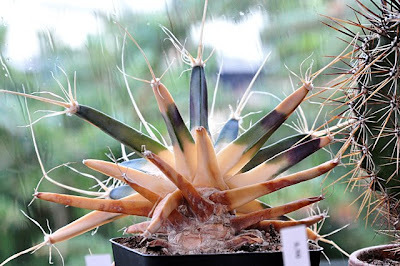 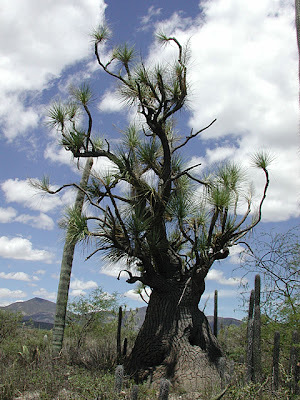 Lots of interesting plants are on display inside the publicly accessible cactus house. 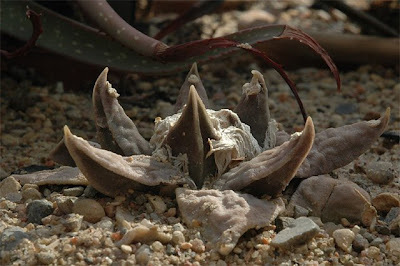 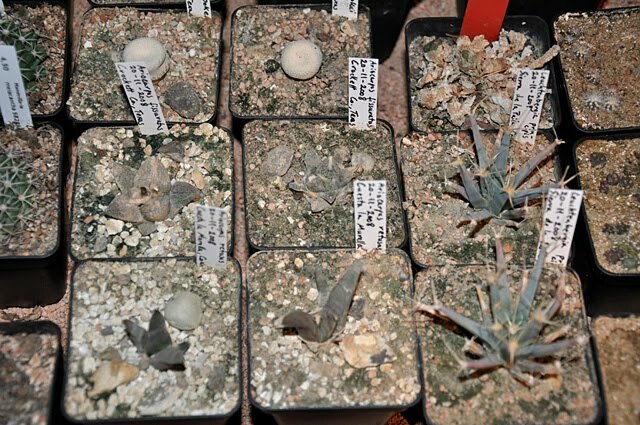 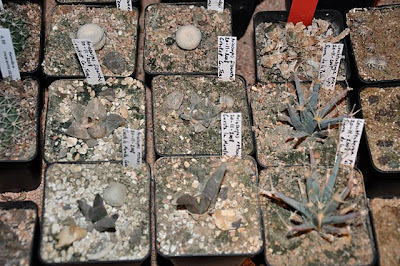 I especially fell for the lone Ariocarpus retusus tucked away among some larger plants. 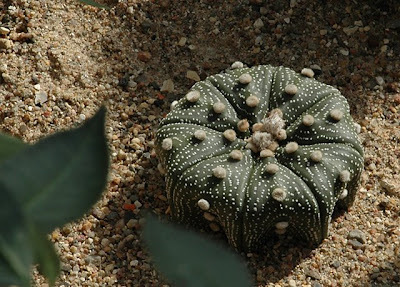 Another beauty growing among much larger plants is a (slightly dehydrated) Astrophytum asterias. 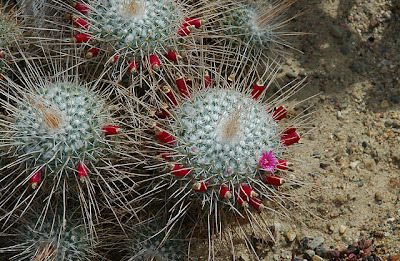 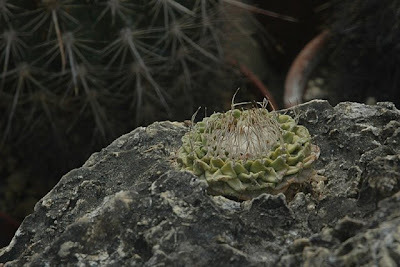 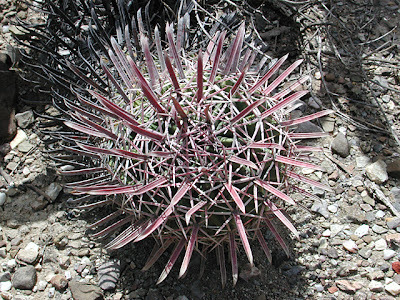 The cactus house holds a large collection of Mammillaria as for example this Mammillaria prolifera var. 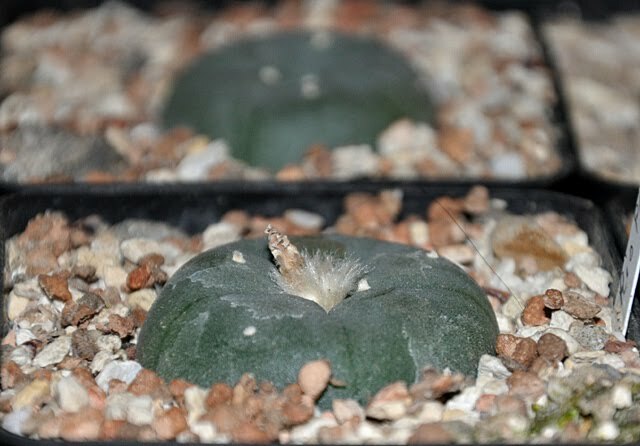 texana that certainly lives up to its name. 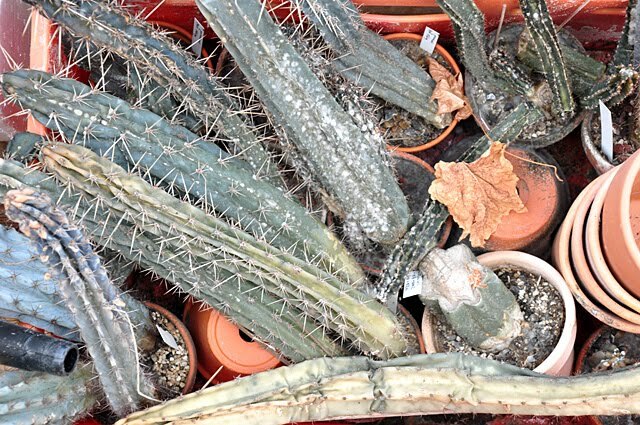 Back in the propagation house a group of Strombocactus disciformis was also on display. 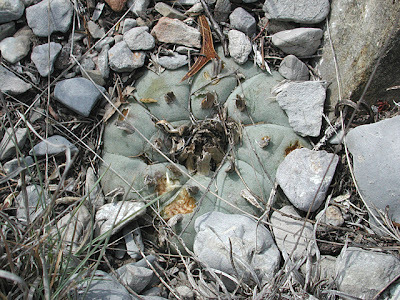 The plants are growing in rocks mimicking their natural habitat. 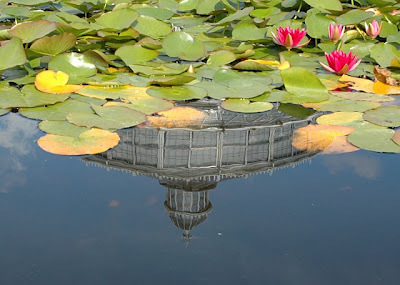 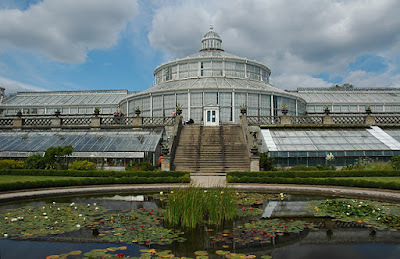 My previous post on the Copenhagen Botanical Garden & Museum featured several pictures of the greenhouses so I won't bring any here except for a photo showing the top of the main greenhouse reflected in the water lilly pool in front of it. 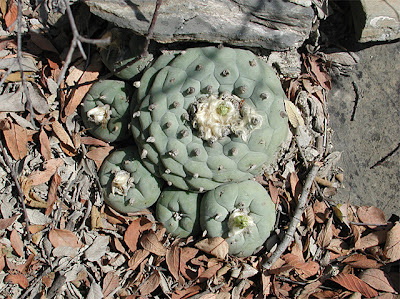 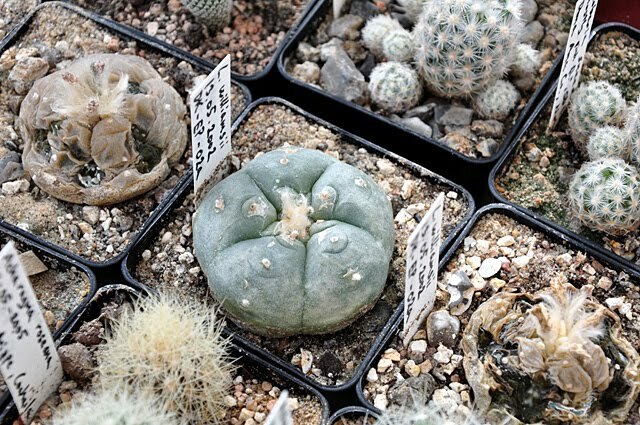 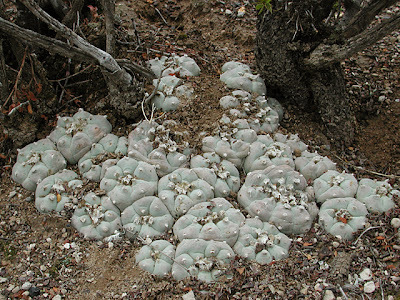 Habitat photos – Lophophora etc. 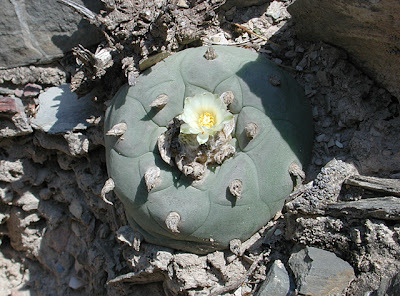 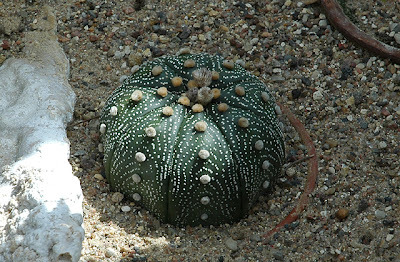 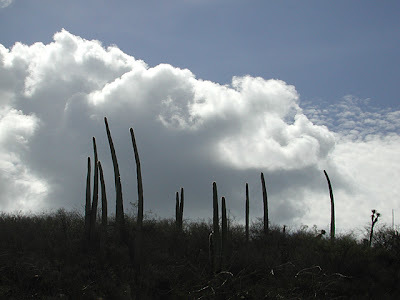 A while ago I stumbled upon a handful of great Lophophora habitat photos published on Wikimedia Commons by Kauderwelsch. 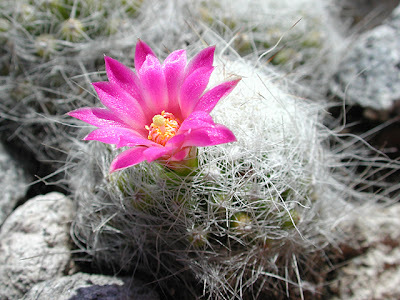 Kauderwelsch has also made pictures of other cactus species available; a couple of examples are included below. 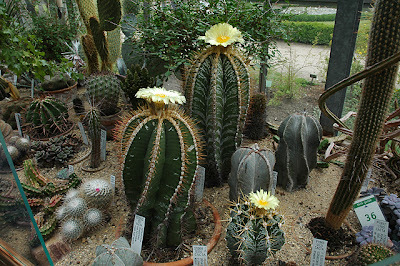 Unfortunately no new images have been added by Kauderwelsch lately; based on the quality of the photos already contributed I would like to see more of his work. 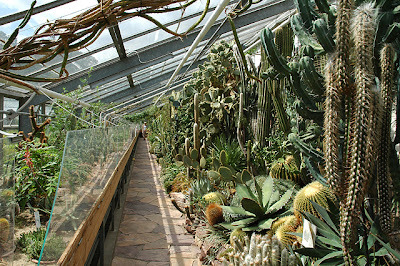 You can see more of Kauderwelsch's photos in this post.